I was honored to be invited to join the board of jurors for this traditional event. 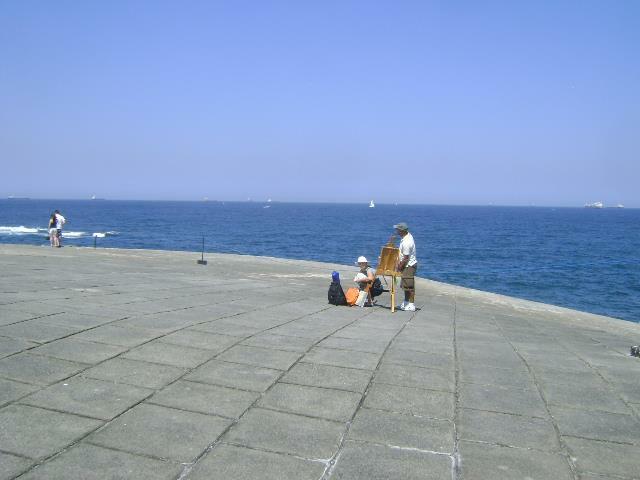 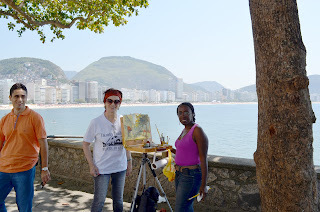 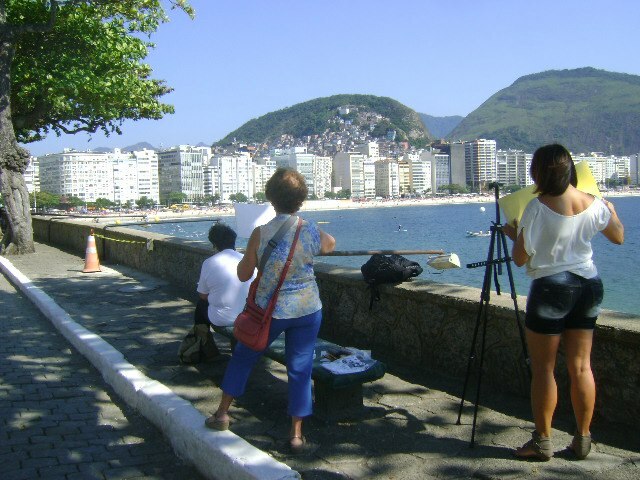 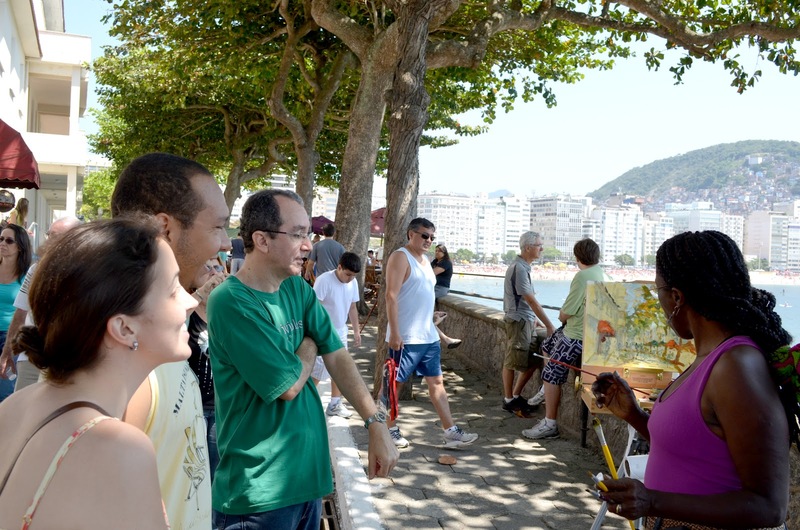 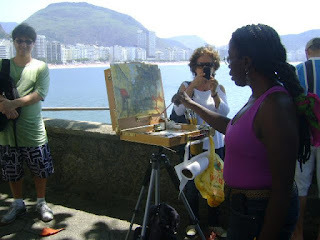 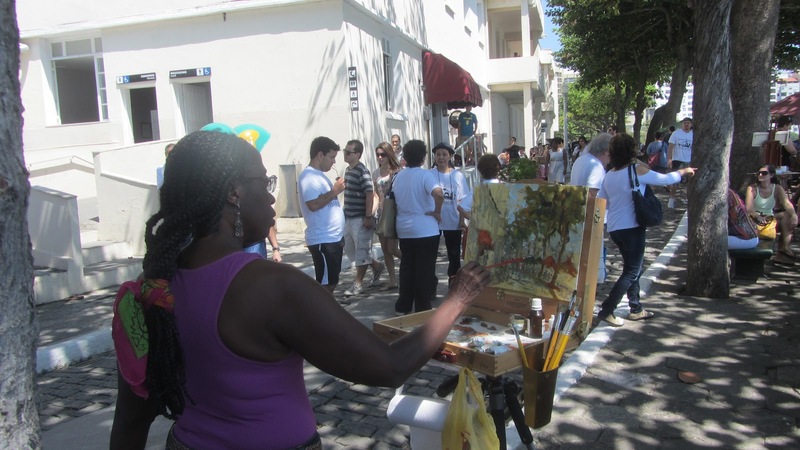 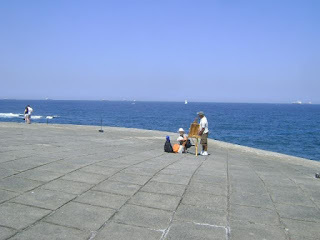 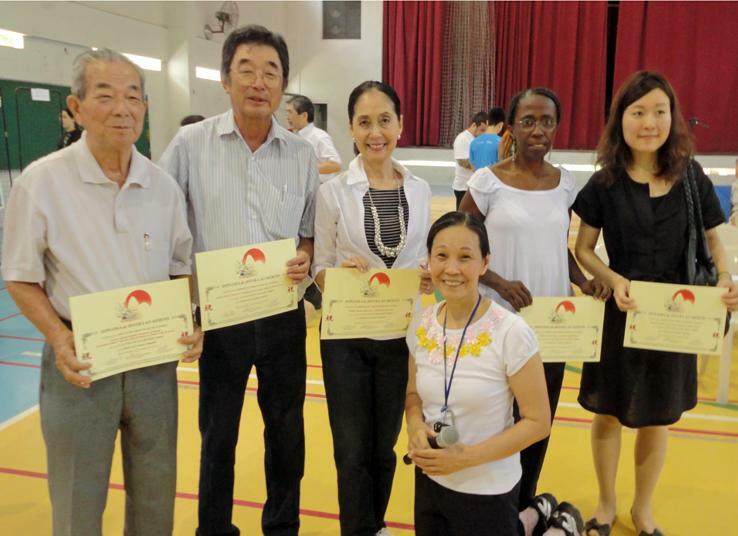 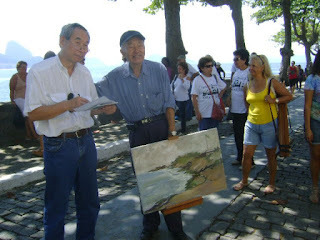 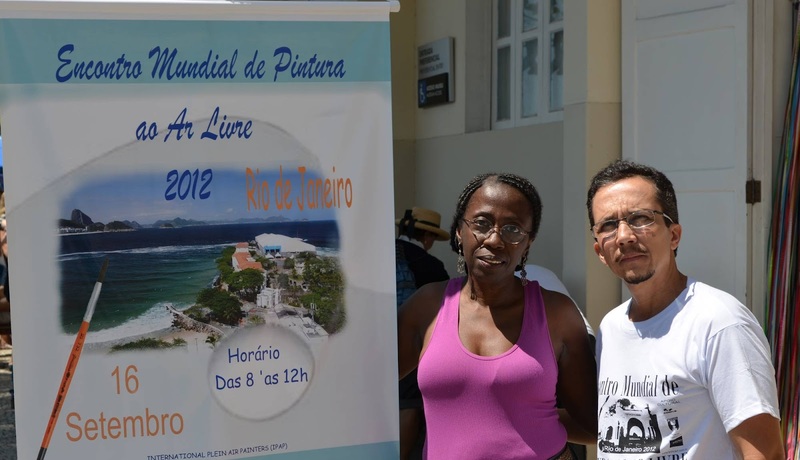 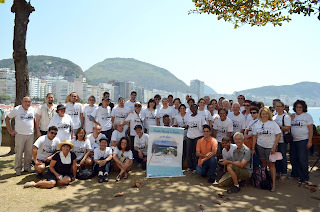 Coordinated by the visual artist Mrs.Teruko Okagawa Monteiro, Director Coordinator of the Association´s Cultural Department, this event has being reinforcing and estimulating the practice of plein air painting for 18 years. 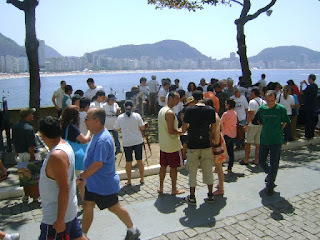 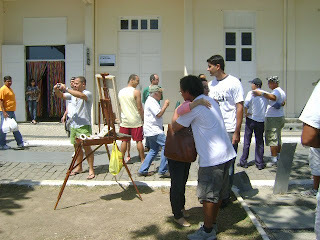 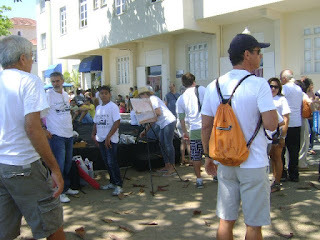 The theme was the Association´s surroundings where participants were invited to open their easels and be inspired on that beautiful Sunday morning. Moderu-ko e Fubokai, Japanese School and Nippak newspaper. 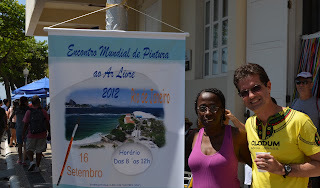 We had a blast this year again! 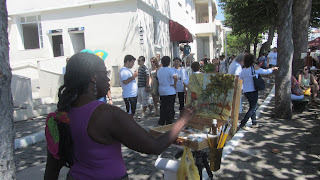 A wonderful group of artists gathered on a beautiful Sunday Morning! 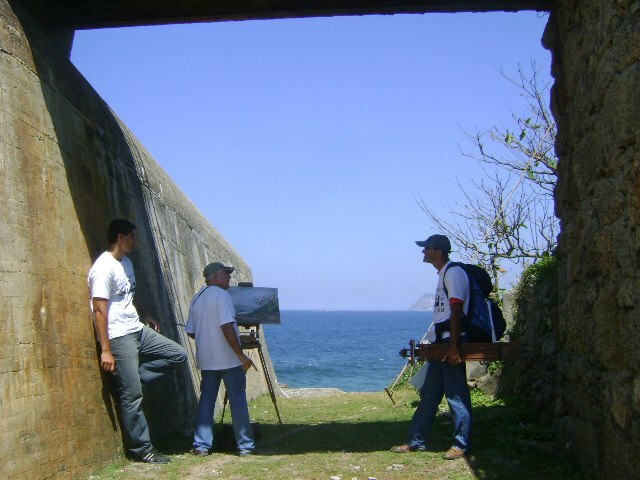 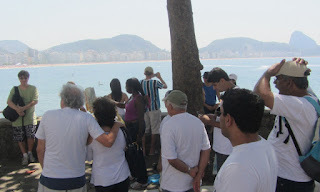 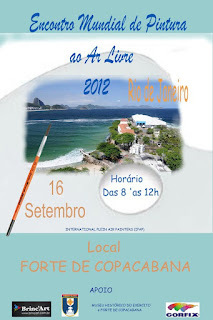 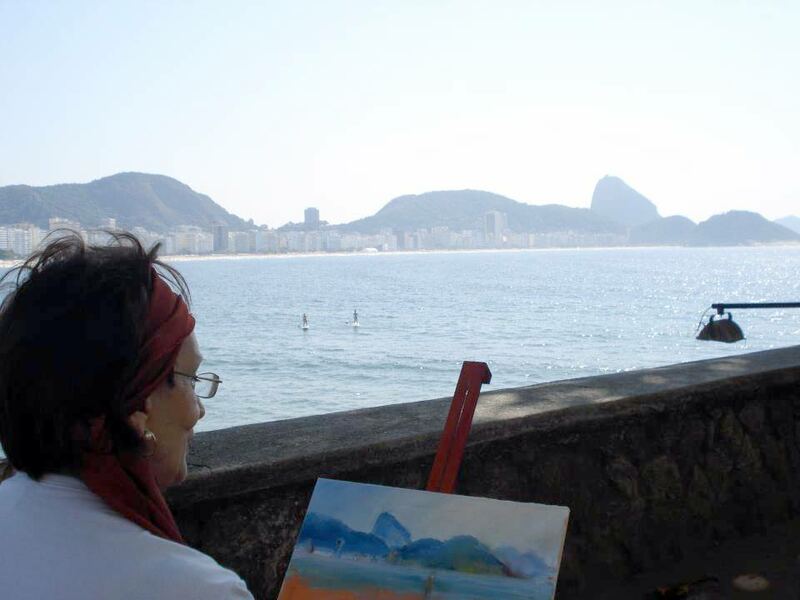 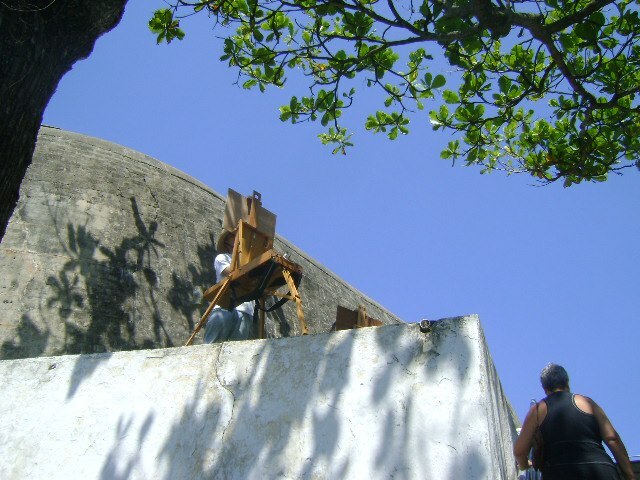 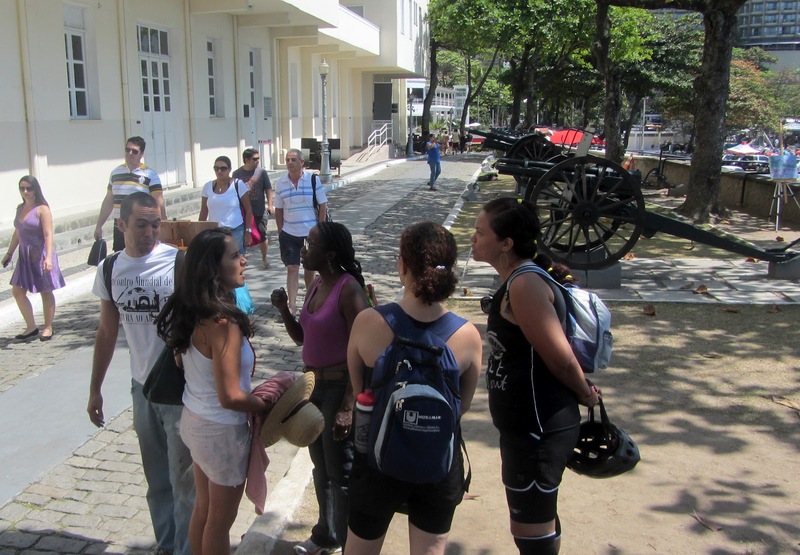 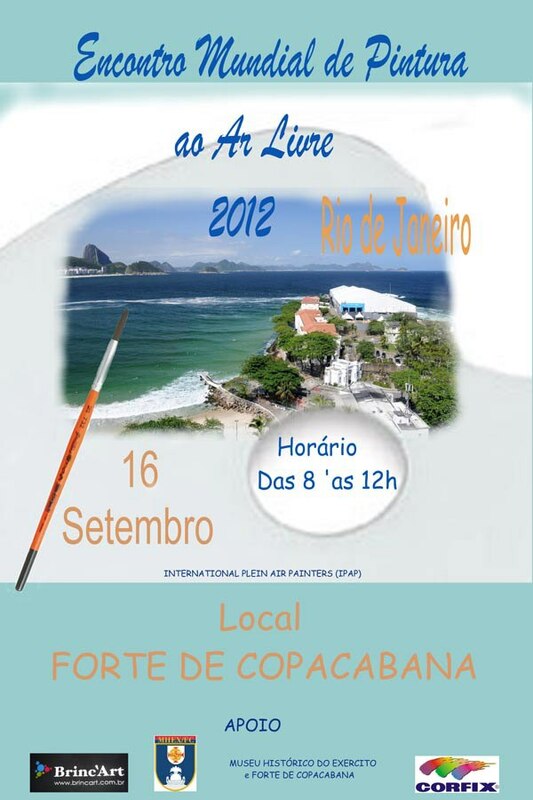 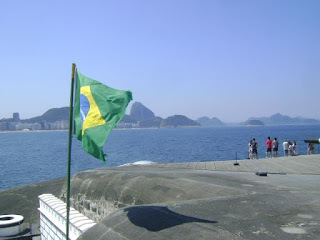 This time, celebrating Copacabana`s 120th anniversary we have chosen to paint inside of the Fort and be inspired by that amazing view! 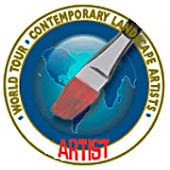 We were once more, according to IPAP - International Plein Air Painters the largest group of artists gathered for this Paint Out ! Our special thanks to Brinc´art Art Materials , Corfix Paints and to Captain Roosevelt who kindly provided us all the support we needed to make this Event once more a great success! 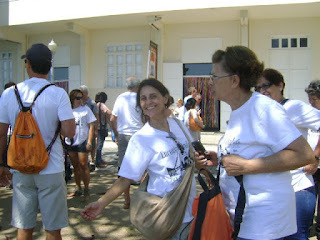 It was really magic, the joyful and peaceful atmosphere was the highlight of the day! Ok, so busy hosting the event but finally I found my spot... just 40 minutes or so to paint... let´s do it! 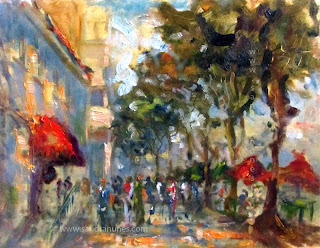 The short time I had to paint called for a special approach, I intended to lay on the canvas the colorful friendly an gay atmosphere that I was surrounded by!